Need to cool down this summer? Dunk Tank Rental is the best choice for private parties to festivals. Sacramento dunk tank rentals can be used for dunking parents, teachers, company boss or family friends. Everybody gets pumped to get in. 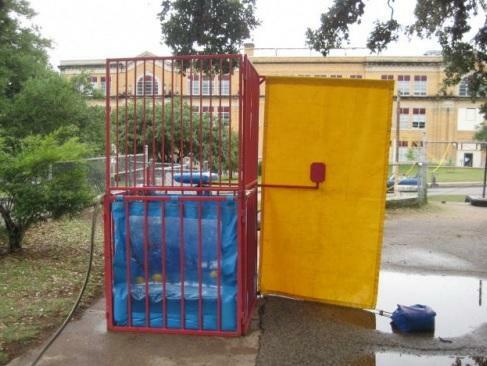 Dunk tank comes with target where you have to throw the ball and aim directly to the target that will dunk the person into the water and watch how soaked your victim gets after their dunked in the tank through the window directly beneath. Click here to rent dunk tank. Dunks tank rental have been proven crowd pleaser for year and in Sacramento our dunk tank rentals have been drawing crowds and helping non-profit organization meet their fund raising goals. The best thing is everybody loves the fun they bring to the event. You will to! Rent Your Dunk Tank Today! If you-re in charge of the event planning, do miss a chance to be the "Event Pro" and add a dunk tank to your event program.